65 roadster. 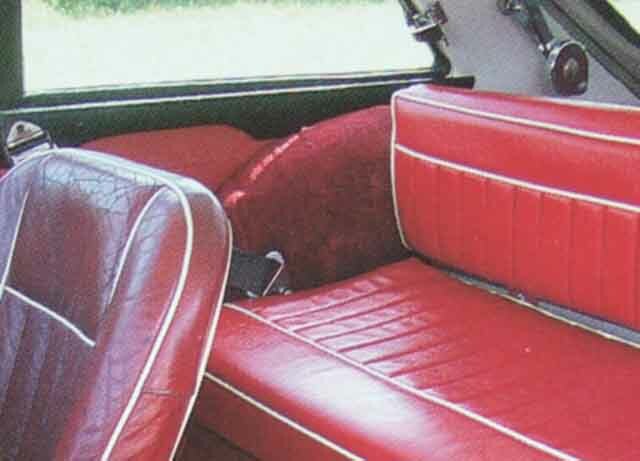 Mounts a bit further back than subsequent pictures, so possibly a dealer or owner addition (subsequently seen on a 72 roadster). 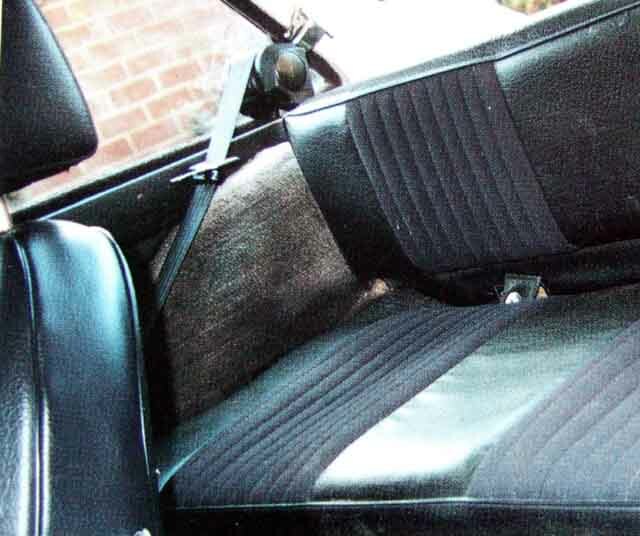 This would conform to owners of some early American cars saying theirs don't have these mounts, and theirs only came with lap belts, despite Clausager stating all MGBs always had mounting points, and that when dealer fitted to UK cars they were 3-point. 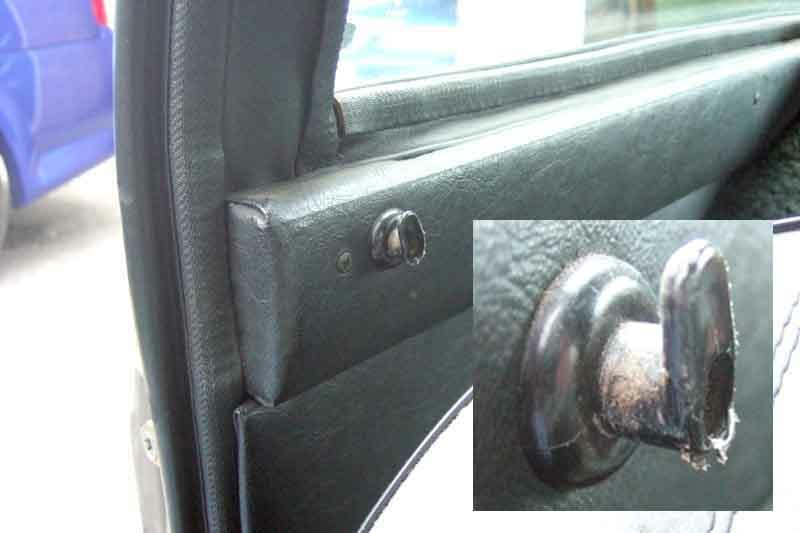 Original fittings with a black plastic 'PRESS' insert. ... probably from SC Parts Group Ltd, not cheap at � each, apparently. Also available from Moss as part number SBK1001K (item 29) at � for a pair at the time of writing. 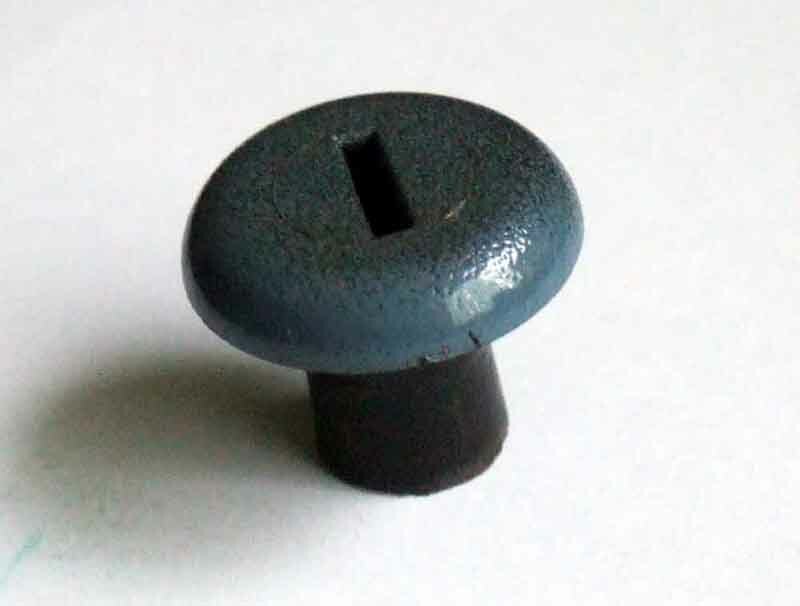 The Moss drawings did appear to show the original design of button to press, but have been changed to show the same as the other supplier i.e. a metal push-button instead of the original plastic. The MGOC also have them (item 3), it looks like an original drawing, but you would have to check if it is the original plastic push-button or not. 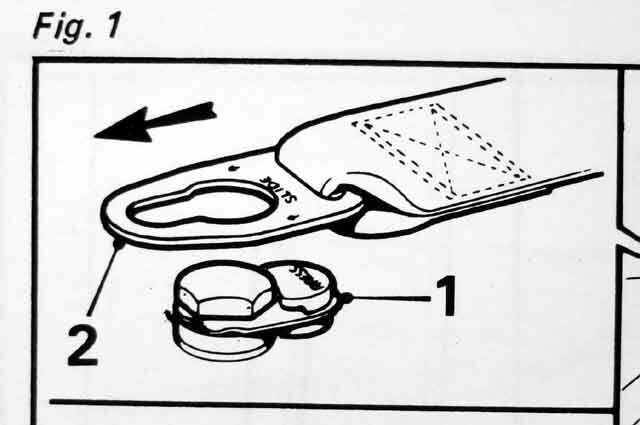 May 2015: If that wasn't enough Jack Wheeler in America has discovered that there is a plastic insert - item 3 here - between the webbing and the chrome tongue, presumably to protect the webbing from fraying on the edges of the slot in the tongue. He is missing one and keen to replace it. 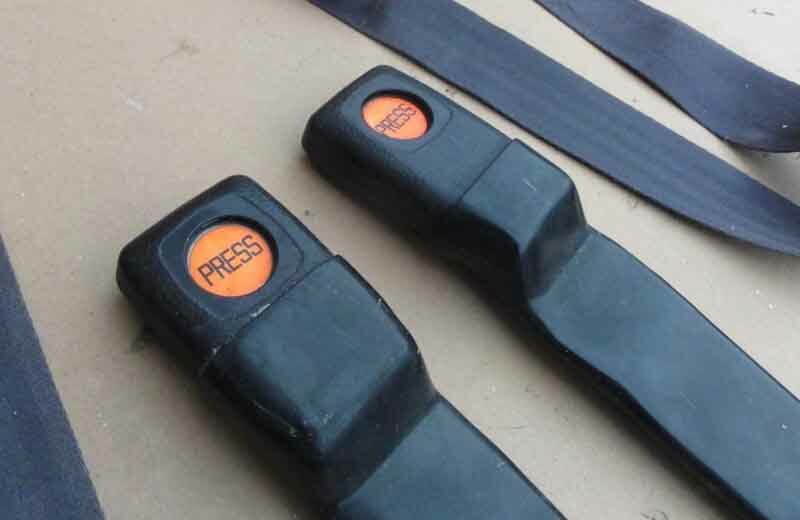 Were these on all static shoulder belts? Or only on these 'quick-release' type? And if not on all statics, why not? 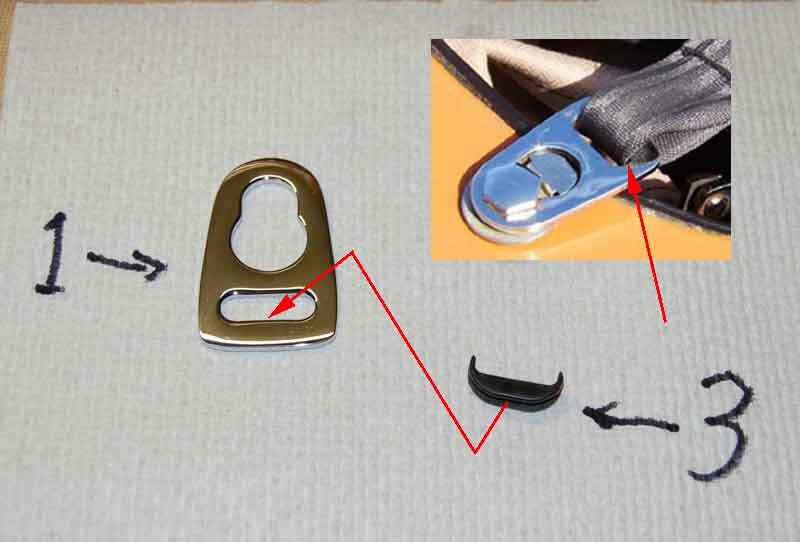 One would think that the stresses on all belts would be the same, especially given that this type of belt is only unclipped by exception, and probably clipped back straight away. 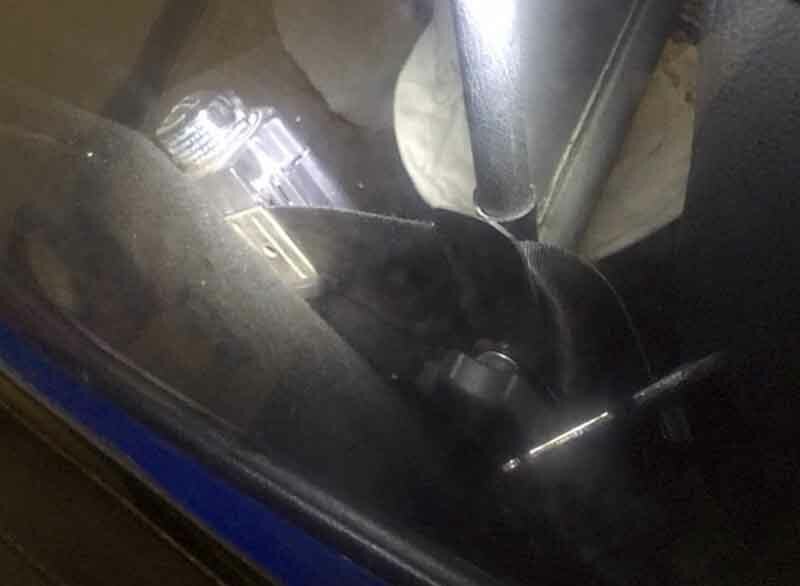 May 2018: And if that wasn't enough, someone was asking about plastic slotted blanks that filled the holes in the tonneau cover when the quick-release system wasn't being used. 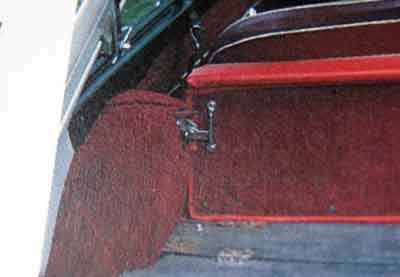 I couldn't see why plugs of that type would be used in the cover, but it struck me that they may have been used to cover the holes in the tonneau panel itself. 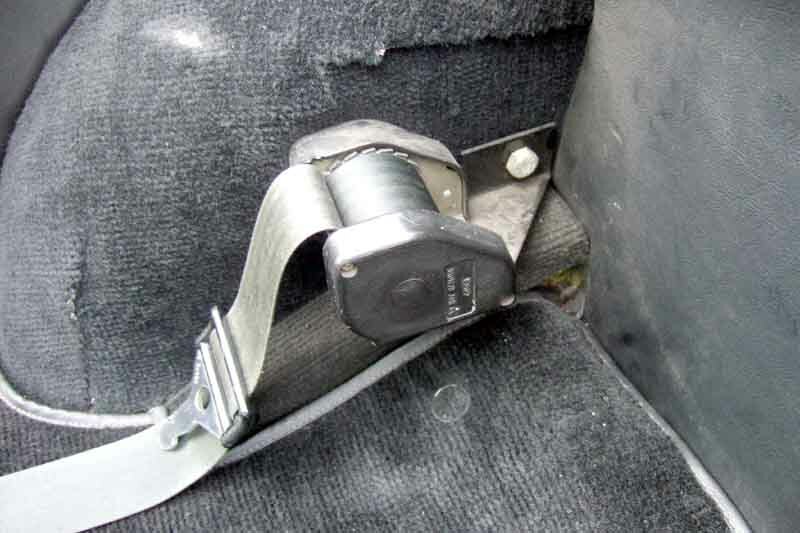 I had an idea I had one kicking around somewhere, in one of my many boxes of bits, that probably came off our Mini in the late 60s when my future father-in-law 'suggested' I fit seat belts ... And so it proved to be. 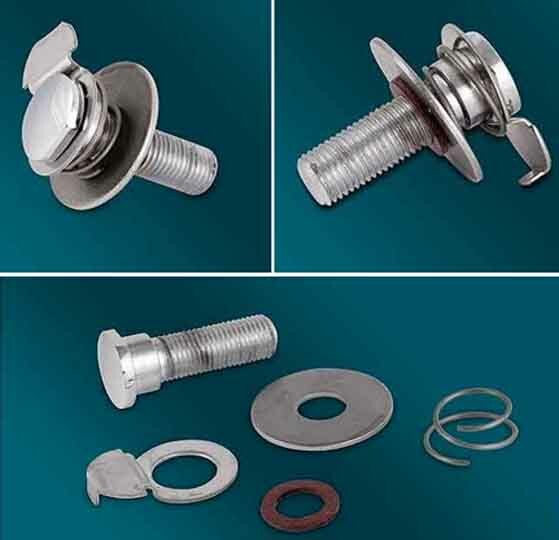 A bit more research came up with these RFN207 'grommets', which some suppliers do show as a conventional grommet instead of this plug. 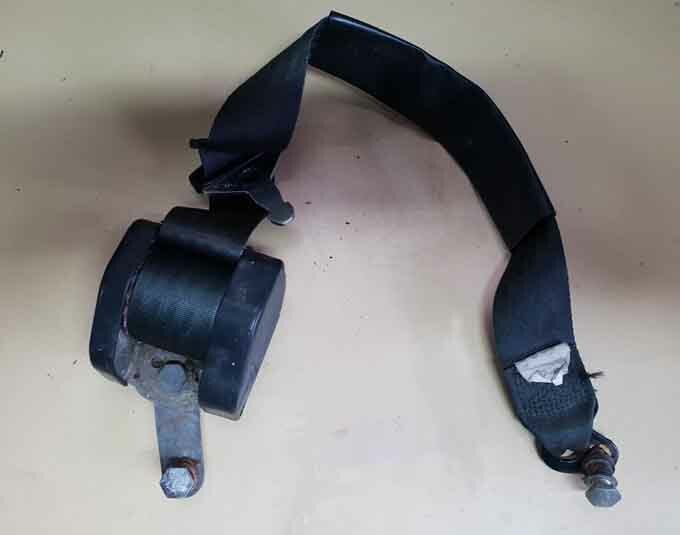 A check of several static belts revealed no insert on the shoulder fitting, so I was beginning to think it was manufacturer-specific. 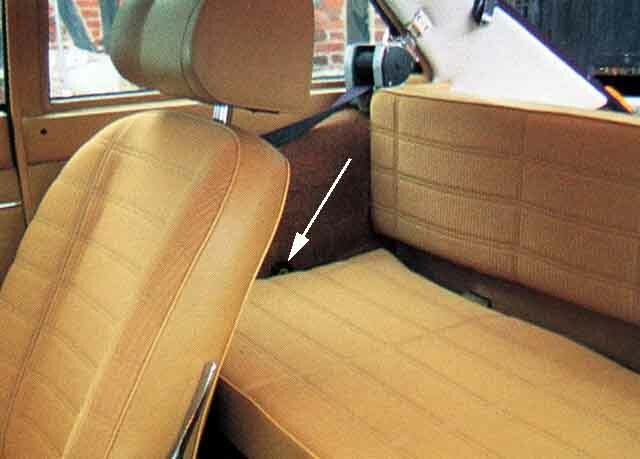 And as I can't see why it would only be needed in that position I checked my inertia belts and on what I strongly suspect are the original Kangol Reflex belts in the V8 I find these inserts on the sill fitting, and Jack used that information to find the required insert. 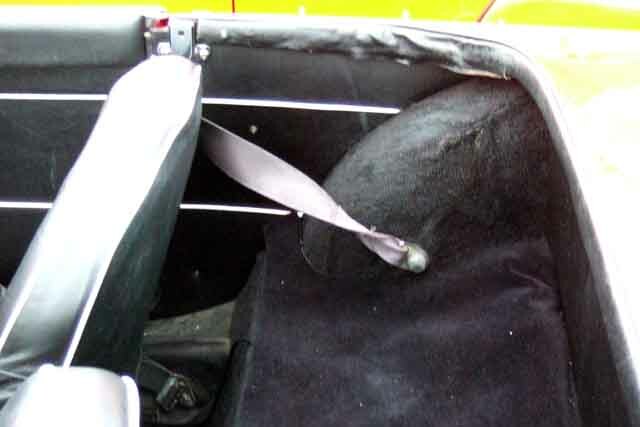 Originally the tunnel strap was floppy and needed two hands to fasten. 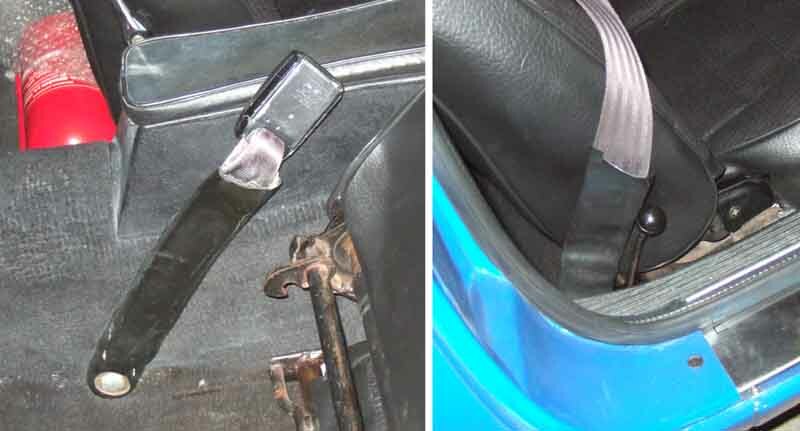 A one-handed version for UK statics was introduced which consists of a stiff plastic sleeve over the floppy belt, which Vee has for her inertia belts, also over the bottom part of the sill section. 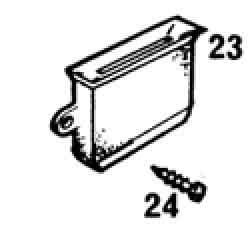 Current replacements uses a stiff cable as for inertia belts. 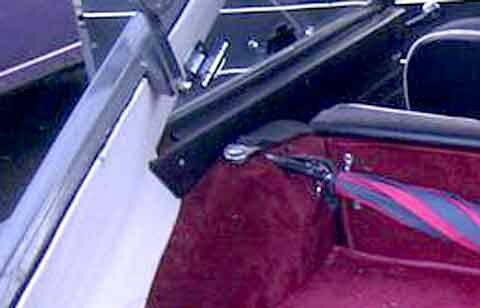 Bee's after-market inertia reels mounted in the post December 71 (North America) and September 76-on (other markets) position - on the arch right at the back and just above the chassis rail. 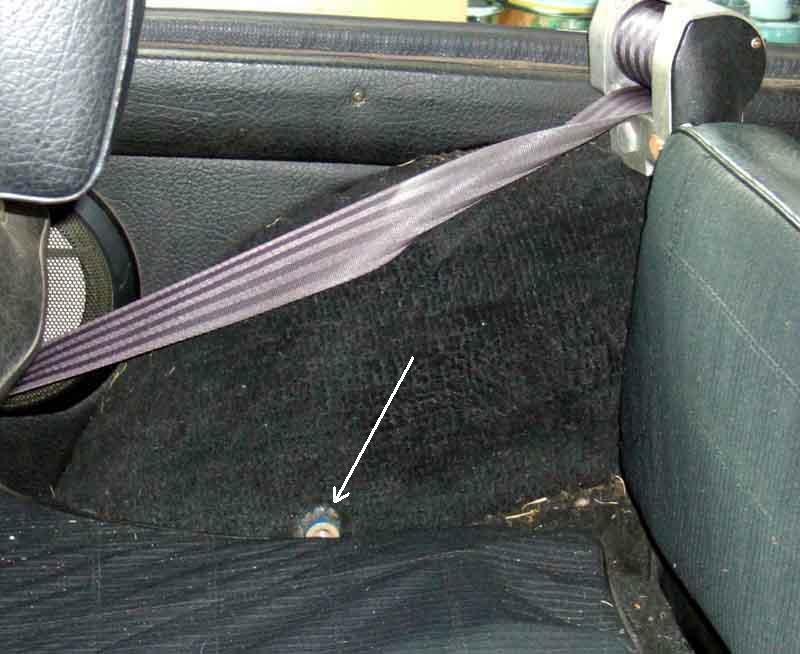 The hole for these has to be drilled as there was no boss on the roadster wheel arch while the tonneau quick-release fastening was provided. A Pal's 72 roadster, albeit nearer the early static position rather than the later inertia position. 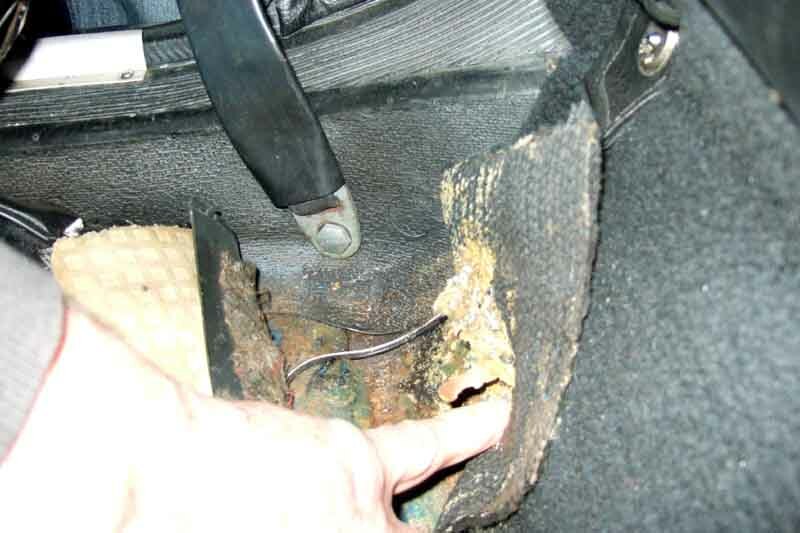 Bolt head inside the cabin is neater, but nut and threads inside the cabin will keep then free from corrosion! 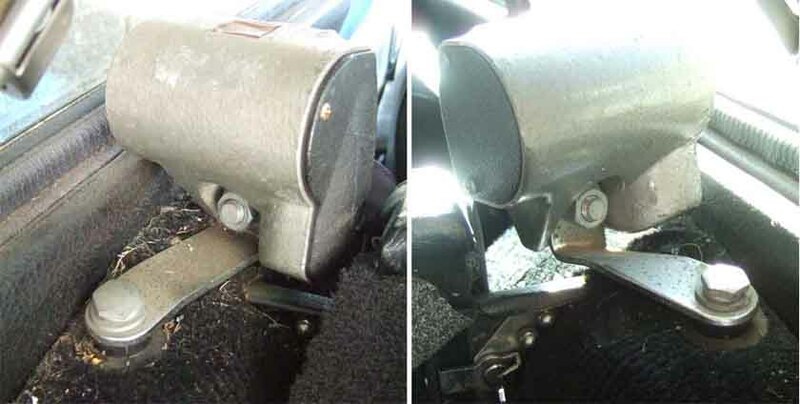 ... but another image of the same car doesn't appear to show the upper mounts. 73 GT (Clausager) and 75 V8 with inertia reels on top of the arches as well as the lower bosses. 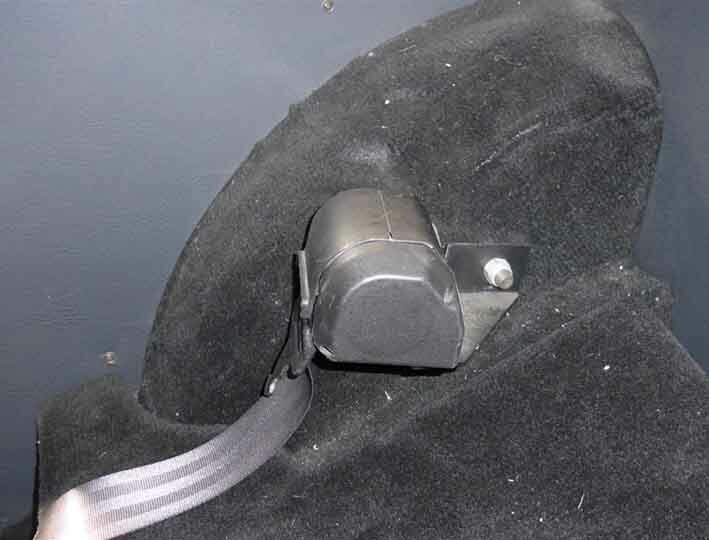 75 V8 brackets and reels (Kangol Reflex), note they are handed to allow the right-hand reel to clear the window but the belt exit at the correct angle. ... later about 5 inches forward. The change seems to have been made for the 1970 model year going by examples. 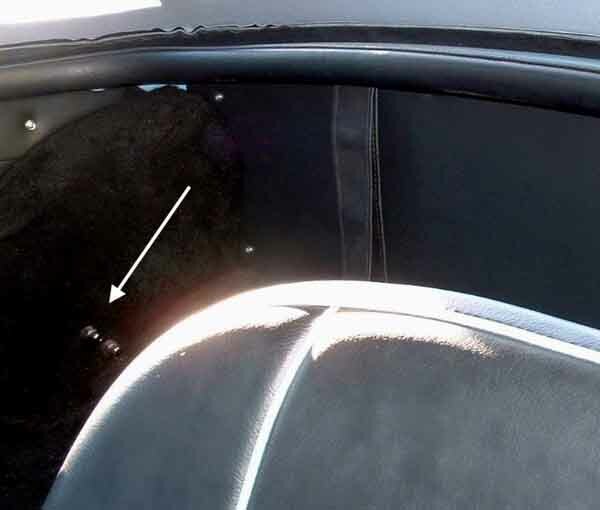 A longer tunnel stalk is available from some sources for earlier cars. Original tunnel part from Vee. 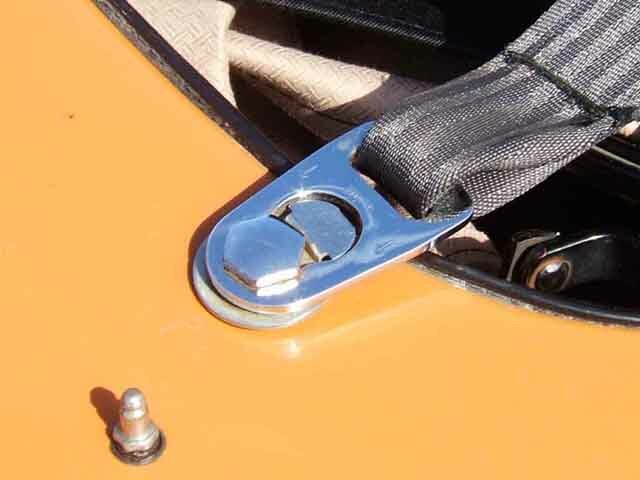 The plastic covering should go over the lower end of the buckle to support it for easy one-handed fastening, but over the years it has broken away meaning the buckle flops about and has been getting more difficult to fasten with one hand. 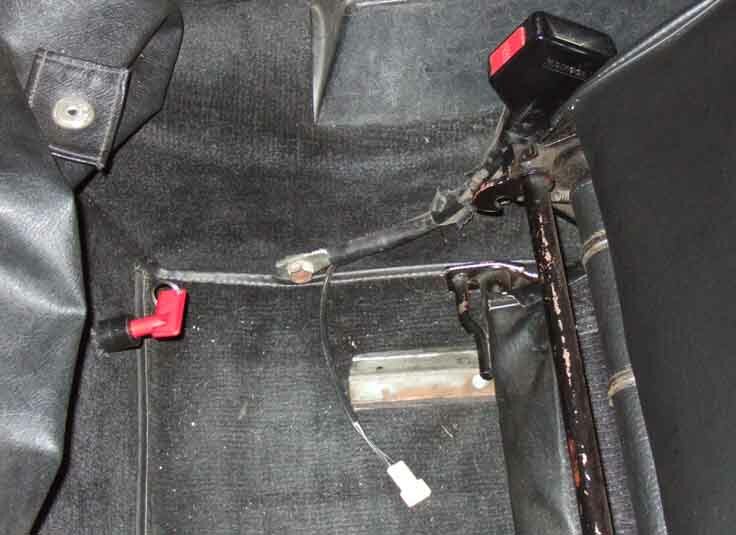 Bee's retro-fitted late model (they have seat-belt warning wires) stalks - plastic-covered stiff cable which means they can be oriented to suit then to all intents and purposes stay there. Vee's replacements are the same minus the wires. ... and the second - without the cover over the reel. Checking Bee's they don't have covers either. The later reels are noticeably smaller, neater and less obtrusive than the originals. 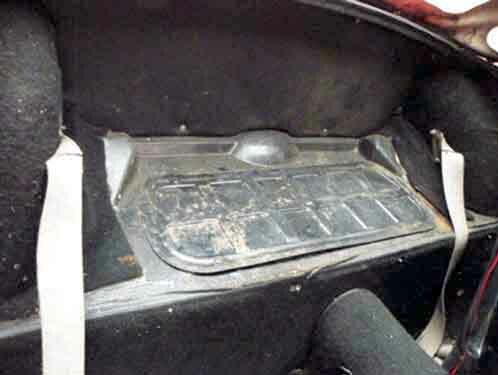 The sill mount on my 75 V8. 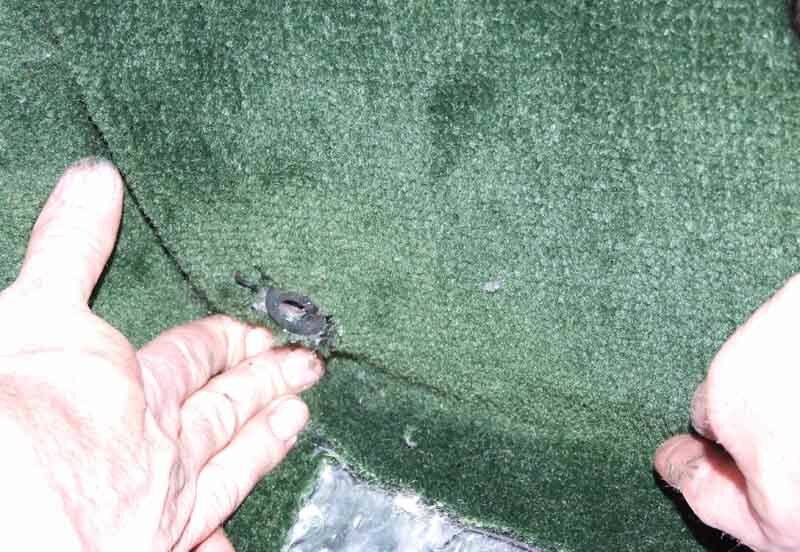 Tricky to measure if trying to find the hole after fitting carpets given all the curves, angles and welded panels in that corner. 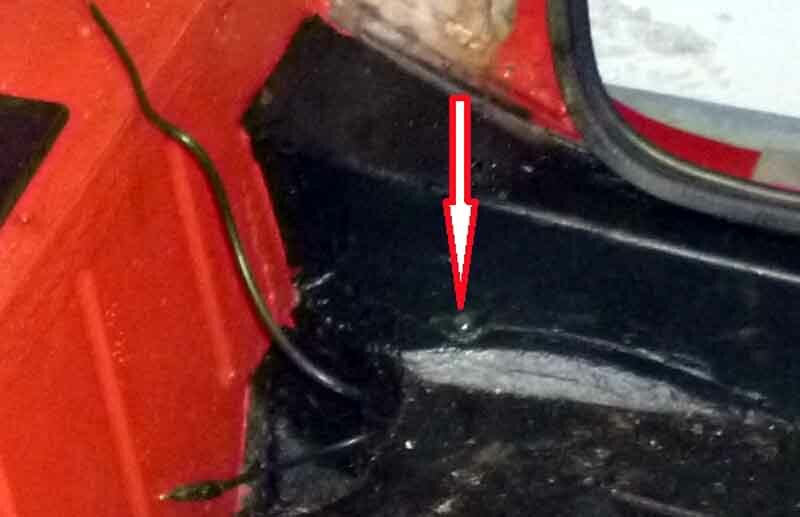 About 1 1/4" up from the floor pan. Measuring straight back from the head of the bolt until it touches the heel-board is about 2 1/4", however using the seat rear mounting bolt as a datum it's 6 1/8". Interestingly there is a moulded circle in the rubber mat that you could be forgiven for thinking marked the position! See also this sans carpets and mats from John Pinna. 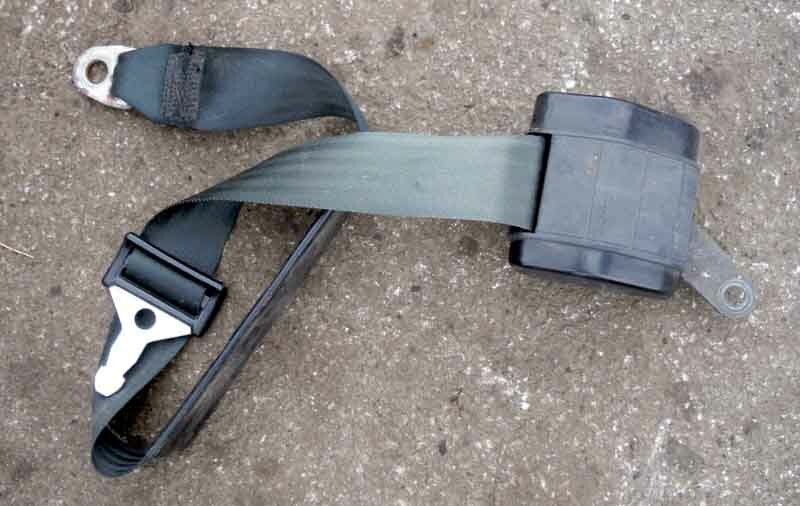 'Seatbelt parking cover instead of parking buckle' (Clausager) BHH938 used from Feb 72 to Jan 77. 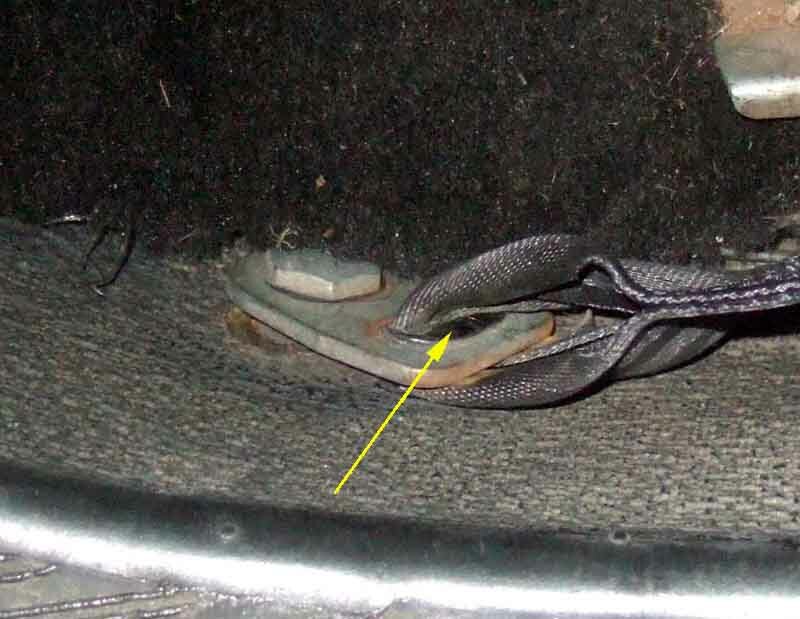 I don't know about a cover, it looks more like a socket the tongue would drop into, but I could imagine inertia belts pulling it out if not worn when under way. Image from Moss Europe item 23. 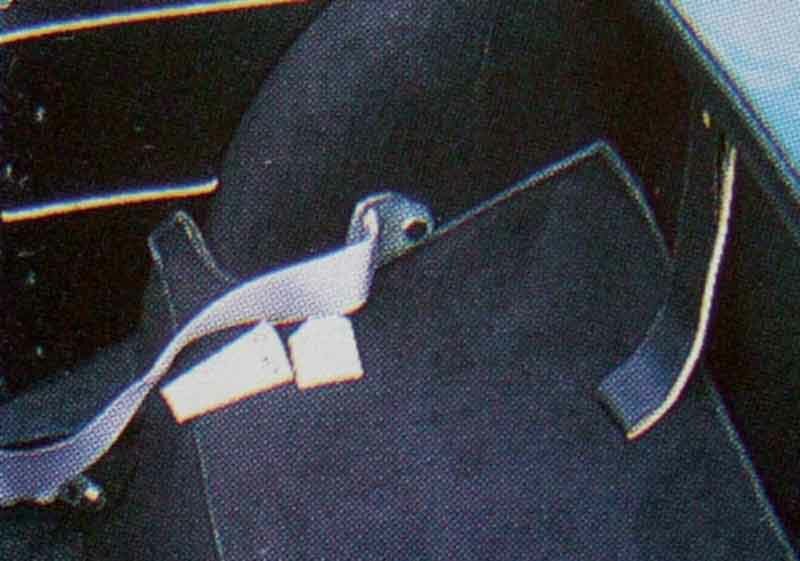 Seat-belt hook BHA5236, replaces the above (shown on a GT) in Feb 77 with Kangol belts.